Some years for days at a time the ground is alive with 1 cm long toads. It’s amazing and makes you think twice about every step (not wanting to make toad jam). Not the case this year. The better part of a month of dry weather in the early/mid part of spring likely had an impact on the hatch. 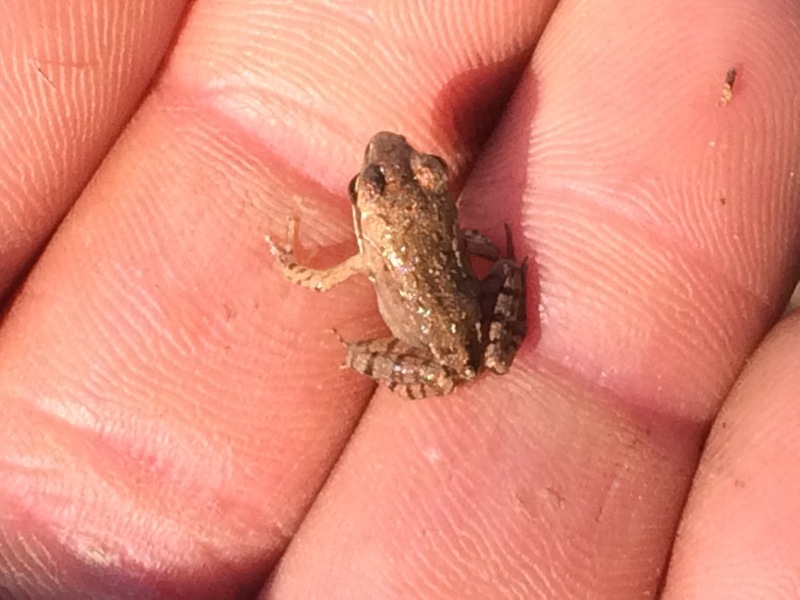 I did however find this little frog near the woodpile yesterday. This entry was posted in Uncategorized on July 17, 2015 by Trick's Creek Farm.